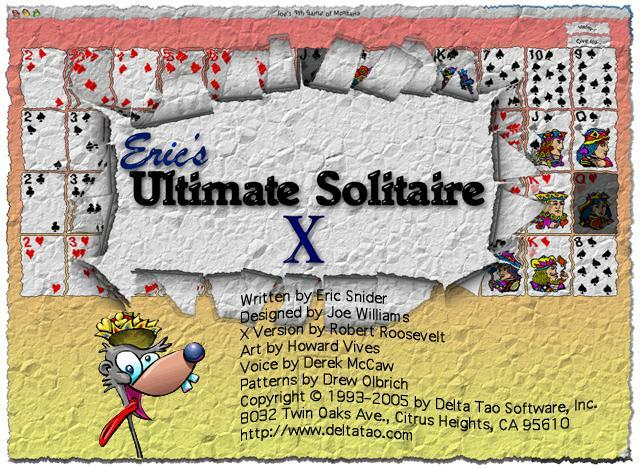 There’s also a version of Eric’s Ultimate Solitaire for PC. Does it work with Lion, Mac OS X 10.7, or newer? Alas, no, Lion hates us. We’re hoping to have a Lion-friendly version in the future. 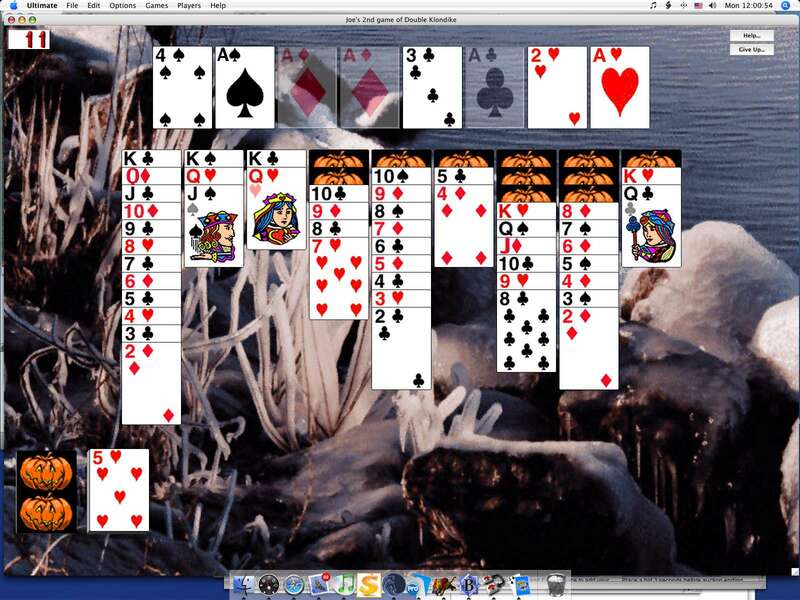 Here are screenshots of Double Klondike, Seven Off, and the statistics screen. The same simple, elegant game, with more games, more backgrounds, more sounds, and more features..
Intel Friendly – Ultimate X runs great on all but the newest Intel Macs, and under OS X 10.5 or 10.6. 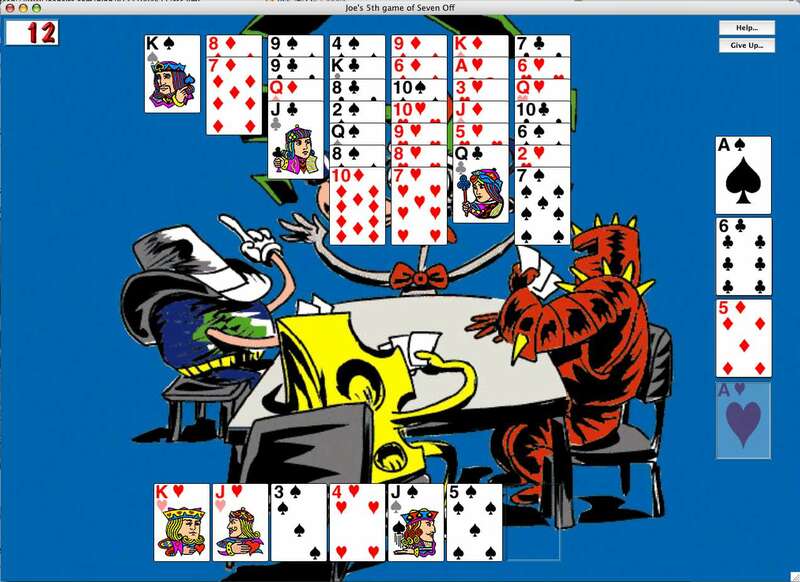 More Games – 25 Games including Eight Off, Spider, FreeCell, Pyramid, Casino Klondike, Forty Thieves, Montana, Klondike, Baker’s Dozen and more. New games include Double Klondike, Seven Off, and Eleven Off. More Artwork – Lots of new fabulous artwork for Ultimate X. More Backgrounds – You can also add your own pictures. Just drag them into the Backgrounds folder. Support for bigger monitors – Now you can play in a big window made for your huge monitor — up to 1600 by 1200 pixels. More Statistics – Undo statistics, comparison statistics, and all your old favorites. Cheating! – Now you can finally win those unwinnable games. The Weasel speaks – voice actor Derek McCaw brings the Weasel to life. More Easter Eggs – Even more secret stuff to discover. You can Order online. Registered Ultimate 1.0 users can upgrade for $24.95. Feel free to send questions or comments to help@deltatao.com.